Peterborough indie rockers Television Rd delivered Banshee Cypher last fall, prefacing it with a video for "Lavender Town (Hula Hoop Dream)." Now, they've followed up the initial clip with two interrelated music videos for "Feeder Road" and "The Squares." Shot on Super 8 film, the new videos convey darker vibes, designed to "jar and excite the viewer" through experimental chopping, colouring and editing. 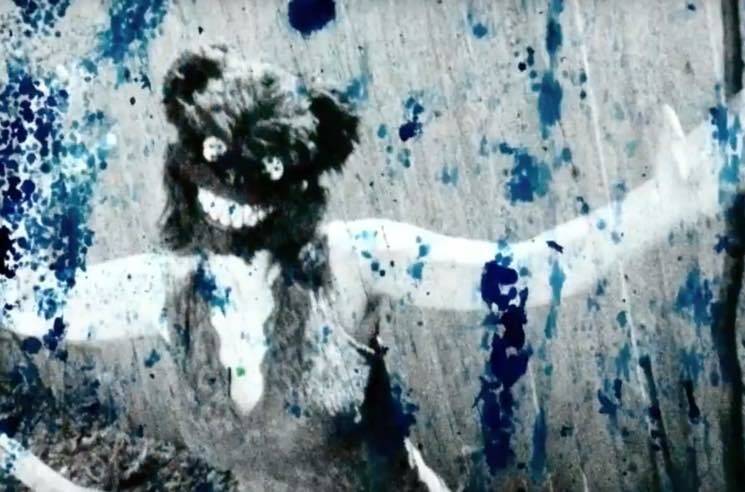 In the "Feeder Road" clip, for example, footage of a speeding train morphs into a shot of a woman with a backpack, then back to psychedelic shots of the band's lead singer Sara Ostrowska dancing outdoors in a bear mask. The result is an anxious and exciting feeling that perfectly reflects both the antsy shuffle of "Feeder Road" and the piano-driven dirge of "The Squares." You can stream both psychedelic videos, which were done by the band's own Daniel Collins, in the players below.